World Ostomy Day 2018 The idea of the World Ostomy Day was born in 1993 and its father is Professor Dr. Gerhard Englert who at that time was the President of IOA. The purpose of the day was to raise public awareness of the condition and improve the quality of life people with a stoma. If you are having a gathering then have a banner which tells people who and what you are. Remember that the squeaky wheel is the one that gets the oil IE publicity. A 'Community Fair' being held by our West Australian Ostomy Association on 6th October. This event being held at the North Perth Town Hall and surrounding park area. It is to be a Market style open day with guest speakers inside the hall and outside in the park there will be a variety of stalls including food vendors, handmade products, ostomy supplier representatives and other charity not for profit groups. They will also have a bouncy castle, face painting and balloon artistry for the children. KOA has had workshop twice in every year, May and Oct.
United Ostomy Associations of America's (UOAA) planning phase is underway for a special campaign in the U.S. to honour and declare October 6th as World Ostomy Day. We are creating a special logo related to the "Speaking Out Changes Lives" theme, and will have a 2018 Ostomy Champion to promote ostomy awareness. One of our major plans to celebrate WOD is by encouraging participation in our fifth annual Run for Resilience Ostomy 5K events scheduled across the country. Nine of the ten 5Ks will be held on October 6th (includes a Virtual Run/Walk); the tenth will be held on October 13th. People living with an ostomy or continent diversion, their caregivers, family and friends are invited to attend, with an expected 700+ participants in the Runs/Walks this year (600+ last year). We are also encouraging our 300+ Affiliated Support Groups across the country to get involved and attend a 5K event if it's being held in their State, if not, to plan a Virtual Run/Walk in their community. We are creating a list of ideas for individuals, Affiliated Support Groups and UOAA on national basis to celebrate the day and will share these over the coming months. 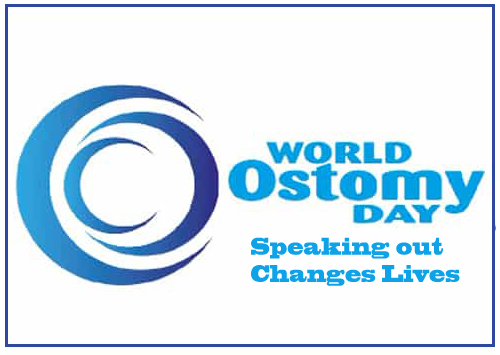 One of the suggestions will be to get a Proclamation declaring October 6th as World Ostomy Day at the Town, City, and State level; UOAA is working on one at the National level. A social media campaign is being developed to create excitement and ways individuals can promote and raise awareness on a variety of social media platforms. We are going to hold events in two principal cities in Japan, Tokyo and Kobe. In the events, persons who relate to Ostomates will give talks and exchange meetings will be held. We hope that many Ostomates in Japan will participate in the events. IA, along with the Urostomy Association ad Colostomy UK, will be working together to celebrate the event. We have hired an open top double decker bus and will travel around London in the bus which will be adorned with banners. We will be giving out literature and in line with the theme of WOD 'speaking out changes lives', we will make our way to Speakers Corner in Hyde Park, a famous spot in London for those who wish to speak out about any issue. Anyone who wishes to speak out about having a stoma will be able to do so. Whilst travelling around London we plan to take photographs of the bus alongside some of London's iconic monuments and submit a book of photographs of our travels.